Tow movie to watch on Netflix! Produced for Italian television, this drama envisions the childhood of Jesus Christ, combining evidence from Bible passages with conjecture. 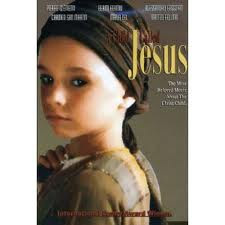 Re-creating Jesus' life through age 12, the miniseries explores a period when the family moved near Egypt. http://movies.netflix.com/WiMovie/Close_to_Jesus_Thomas/60034768?trkid=496624 Close to Jesus: Thomas about the life of St Thomas.